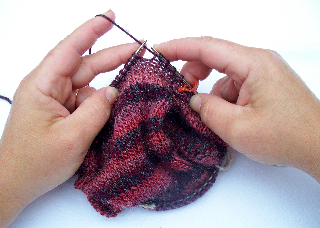 You can learn how to get started knitting during our weekly sit and knit. Just reserve your spot for $40 prior to that day (either in store, online or by phone) and we will make sure there is someone there dedicated to teaching you how for the first hour of the morning sit & knit. Yarn and knitting needles included! We've found it is a great way for folks to learn. You can then sit with the teacher for a while knitting and get help learning how to fix little mistakes as they arise. We've had great feedback on teaching knitting this way versus a separate class. Reservations must be made at least 48 hours prior to the session. We are also happy to set up a class for you though or private lessons that work better for your schedule. Email us to let us know your wishes.